Roof repair or replacement often involves a considerable investment. Routine inspections allow you to plan for major repairs and to budget accordingly. Periodic roof inspections help you avoid unpleasant and expensive surprises. The roof on your home is subject to the worst conditions the weather can throw at it. Blazing summer sun with UV exposure and heat, frigid cold with ice and snow loads, and wind that tries to shred the roof to pieces. All of these and more are experienced by your roof each year. Periodic roof inspections look for damage that may have occurred over the previous year and allow you to take steps to prevent any problems from becoming worse. An ounce of prevention is worth a pound of cure, according to one old proverb. This holds true with the roof on your home as well. The best way to make your roof last as long as possible, and to avoid unnecessary repair bills, is to maintain your roof to prevent larger, more expensive problems from developing. Of course, the best way to know when there is a developing problem that needs your attention is with a periodic roof inspection. Most professionally installed roofs now include a warranty. This is great news for homeowners since replacing the roof on their home is a significant investment. The manufacturer’s warranty may be affected or even voided if you fail to maintain the roof, however. 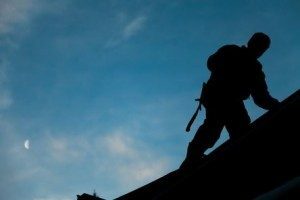 The best way to prevent problems and to be sure the roof warranty will be honored is to have the roof inspected periodically by a professional. At Bruce’s Central, we understand that home maintenance is an important investment. We aim to provide professional, cost effective services. Contact us today at 570-424-8891 to learn more or to schedule a roof inspection for your home.